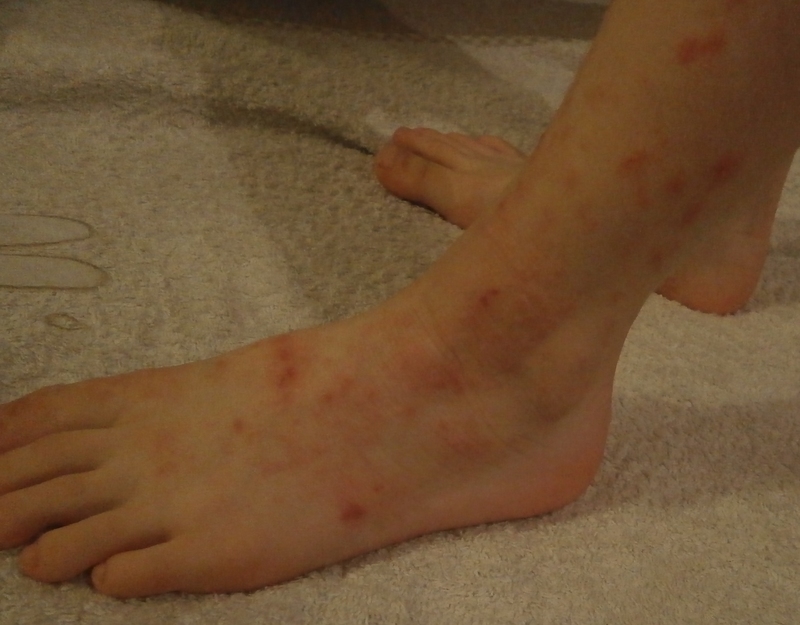 talkhealth > Blog > 2015/01 > Eczema: Finally some true respite! 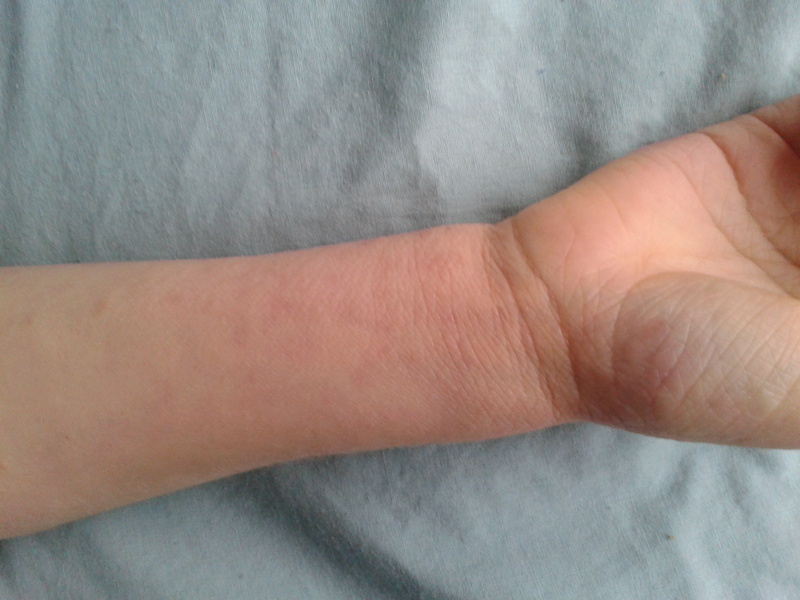 Since November 2014 we’ve had an amazing breakthrough with MyItchyBoy’s eczema. MyItchyBoy has had eczema for over five years. Not just a little bit, but the kind of eczema that takes over the life of the whole family. The hospital letters refer to it as ‘severe’. In the last two years I don’t think we have put MyItchyBoy to bed without using steroid cream and an antihistamine. During the first half of 2014 he had at least two bouts of infected skin with the resulting oral steroid and antibiotic treatments. Since getting regular appointments with our local dermatology department, we have been given topical steroids (hydrocortisone, Eumovate, Elocon, Elidel and Protopic), offered UVB treatment by one consultant and then advised against it by another. We’ve been recommended azathioprine immune suppressant treatment (I have refused to get it done twice now as I’d rather we went on suffering than mess around with his poor little body to that extreme) and we’ve had oral steroids for a couple of months all with little or no effect. I met a woman at work whose daughter was reaching 12mths old and had had eczema for several months. The family were still waiting for their NHS dermatology appointment to come through after getting nowhere with their GP. I’d been sent tweets and read articles about a treatment for eczema by a Dr Aron and had an idea of what was involved but remained sceptical. Like me, this new colleague was in the process of deciding whether or not to give Dr Aron a go. For her, the decision was made by weighing up the cost of going to the local private dermatology clinic and potentially getting nowhere or going for something rumoured to really help eczema. I saw her a week after she’d started the treatment with her daughter. She gave me back the book I’d lent her and said she no longer needed it. After three days of using the cream, her daughter was eczema free. If I’d read that online, I’d have remained sceptical. But, when the person is in front of you, telling you it did really happen, it’s hard to ignore. Husband and I held out until our next dermatology appointment, which was only a few weeks away, with the intention of discussing this treatment as a possible solution for MyItchyBoy. I was looking for reassurance that it wasn’t a crazy idea, that it wouldn’t be detrimental and to find out if it was possible to be get the cream on the NHS. Sadly, we ended up with the worst consultant in the department (we’ve seen him before, so trust me, it’s true). He’d never heard of Dr Aron, despite the coverage in the national press and online. He wasn’t interested in discussing it either. He gave us another prescription for oral steroids and a blood test sheet for azathioprine. Frustration got the better of me and I signed up with Dr Aron that evening. The response was quick and we were using the new cream within the week. Apologies the photos aren’t great, but I took them for me rather than for this site. The day we started the cream his skin is what we would have called ‘really good’ so they do not show how bad it used to get. I won’t go into the details of the cream here as they are easy to find online and this post will get really, really long if I do. However, I am happy to answer any questions in the comments below or email me (hello@myitchyboy.co.uk). What I will say is – two months later and it has changed our life. Sleep. We now get sleep. All night, most nights (he’s still only 5, so we get the occasional complaint about the rain being noisy or bad dreams). No complaints about being itchy or requests for cream though. All without antihistamines. Love it. Quick communication and feedback by email. I can email Dr Aron at 11pm and there’s usually a reply by breakfast time. Someone is there listening and evaluating, when I need them to – great! This was essential when things got a bit skewed in late December when MyItchyBoy had an allergic reaction and was given three days oral steroids, for example. We have yet to attempt to reintroduce any foods that would ordinarily impact his skin, however the allergist did say this could be a possibility in a few months if his skin continues to be clear. Of course, it’s not all good. The cream is a private treatment so you do have to pay for it. For us, it was weighing up the cost of encasements for MyItchyBoy’s mattress to prevent against dust mites in the desperate hope that it may make a difference when we realised that the same money on this treatment may have a better result. I feel confident in saying it has. Ordering and delivery. Ok, this is a bit of a pain as it’s not as easy as picking it up from your local pharmacist. We’ve managed ok so far, but had to pick a couple up from the sorting office as it needs signing for and usually comes when we’re out. Do I care about either of these? When I look at MyItchyBoy, when I hold his soft, non-scabbed hand, kiss his soft cheeks at night, watch him playing happily without scratching at all……….no, I don’t care about these things. The cream does include a steroid. For us, we were using them on MyItchyBoy every night anyway. The difference is that now his skin looks great, whereas we were using them and they didn’t make a difference. I am hoping that we will soon reach a point where we can keep off topical steroids for the majority of the time. For me, I’d rather a topical steroid then oral steroids or treatments that will start interfering with other parts of this body or subjecting him to more hospital visits and blood tests. We saw dermatologists as part of our allergy appointment at St Thomas’ in London last week and they were pleased to see that they weren’t really needed. They knew about Dr Aron and his methods and were supportive. What stuck in my mind was the consultant saying ‘It demonstrates that his eczema can be managed using a topical treatment’. Yes!! Something the NHS has failed to prove to us in 4 years of trying. We’re only two months in, so we’re still using the cream on a regular basis and it’s hard to be sure yet what the longer-term outlook is. Now I’m looking forward to our next local dermatology appointment in early February to see what they say about the transformation. What does MyItchyBoy think of it? I asked MyItchyBoy what he thought the good and bad bits about his new cream were. He said that the good thing was that it has worked quickly. And bad bits? None. We talked him through the whole process from the beginning: that we were considering this new option, that it may really help, but that we needed his buy-in as it would mean putting the cream on regularly (starts with 4-5 times a day) and he wouldn’t be able to kick up a fuss about it. We talked him through changes to routine at home and school and explained clearly that although we hoped it would work, there was no guarantee. Luckily he was up for it and has been brilliantly cooperative (despite some odd places he’s had to strip down to get cream on during the first few weeks). I think him seeing (and feeling!) a result so quickly means he is keen to use the cream in a way he never was before. What else can I say? If your experience with eczema has been anything like ours, and if you can afford it, then I recommend giving it a go. 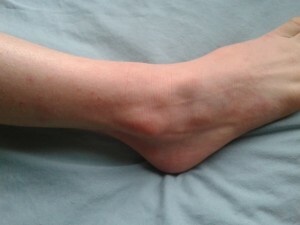 4 Responses to Eczema: Finally some true respite! Gosh, this must be such a relief – for all of you! that’s just fantastic. I don’t know the full story but out of interest was your little one tested for food allergies and food intolerances or just allergies? 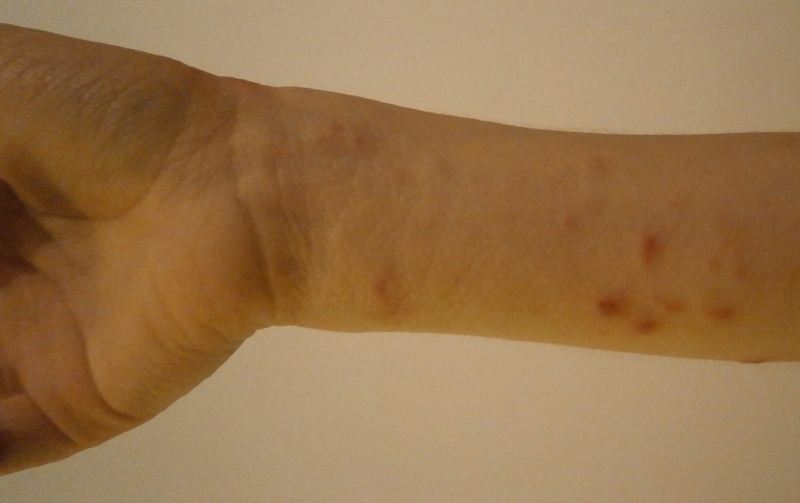 Eczema is so grim. Yes, it’s been such a change in life for all of us. We have just recently had the third round of allergy testing. We know some foods have definite allergic reactions and others have an effect on his eczema within 24 hours. We’re hoping that the latter category (soya, eggs, stone fruits) will have less impact now his skin is doing so well. A slow and careful journey ahead of us though. Is this Eczema is just because of the food allergy or there are many other reasons too? We avoid the foods we know that cause the eczema to worsen as his skin was always so bad. We know he scores high for dust mite allergy and pollen and things like that which are not so easy to avoid. Essentially, we and the NHS have failed to pinpoint exactly what is causing the eczema despite many tests. At least now, we can start to have a better idea perhaps as it will be more obvious if he comes into contact/eats something. When the eczema is severe all over, then it can be harder to notice when something makes a difference.